I’ve been coaching a Gemba Academy customer through the use of some specific tools. This individual works in a MRO environment meaning he deals with very high mix and low volume. This person is struggling to understand how to create a value stream map since their process is anything but static. In other words, what takes 30 minutes today may take 3 hours tomorrow. So how do you document this sort of variability on a value stream map? I did my best to explain that everyone deals with variability and that a VSM will never be a perfect snapshot of the process. For example, traditional producers of widgets will experience the same sort of problem since there may be 110 units between process A and B today but only 92 units between process A and B tomorrow. Which one should they document on their VSM? My thoughts? It doesn’t matter. You see, the point of a VSM, or any “tool” for that matter, is to improve the process. It’s meant to help us solve a problem. So, in this traditional producer example, the fact they’re obviously building in batches may, in fact, be the problem they should address. In other words, attempting to construct a Monte Carlo simulation to model the variability in the process or spending days worrying about the exact figures we should note on a VSM is most likely a gigantic waste of time. Too often I see lean and six sigma practitioners handcuff themselves with tools. They read a book about value stream mapping and then struggle with the concept since they don’t produce stamped-steel steering brackets with relatively stable demand! Or they learn about regression and desperately try to fit some random data into a model and are bummed when their R-Squared value is 12%. So, instead of worrying about how a particular lean or six sigma tool can be used to improve your process start by asking yourself the following question – what problem am I trying to solve? And, really, the only way you’ll be able to answer this question is by going to gemba, or the place the work is done, and observing. So, until we know what problem we’re trying to solve, it’s best to forget about value stream mapping. Forget Quick Changeover. Forget 5S. Forget regression. Forget “tools” in general. Instead, go to gemba, observe, and question. Then, once you have a good understanding of the problem at hand you’re ready to make the process better through the deliberate application of problem solving methodologies such as PDCA and DMAIC. 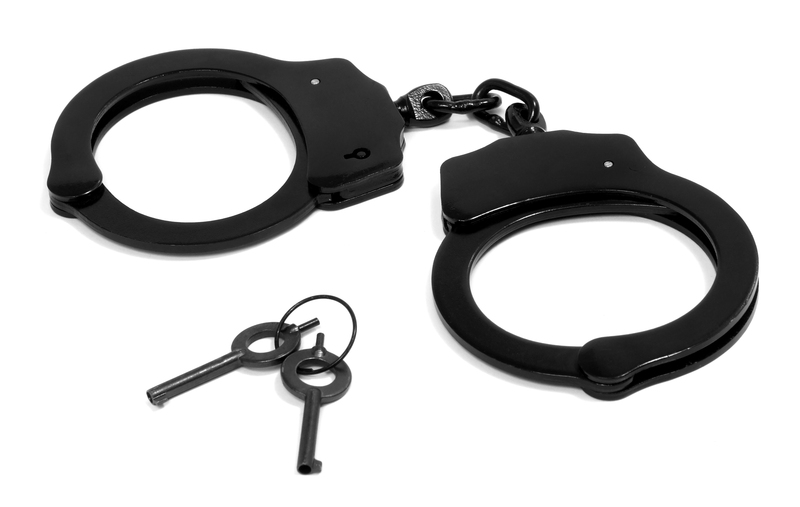 In summary, lean and six sigma tools are here to serve us… not handcuff us. So if you ever find yourself struggling to find a way to make a particular tool work for your situation take a step back and ask yourself… what problem am I trying to solve? Do you agree with my take on this? Have you seen people, possibly yourself, become handcuffed with lean and six sigma tools? If so, how did you handle the situation? I agree, absolutely, positively, 100%. Having worked in a high mix, low volume custom environment, and watched people struggle trying to fit square pegs into round holes over and over and over, I’ve become a zealot for solving the problem and NOT just using the tool. Far too often I’ve seen belts and others struggle with statistical tools on a process that, frankly, is so far out of whack that it’s obvious within 2 seconds that it’s broken. Too many courses, and especially too many programs, are focused on teaching the tools to the students instead of teaching them to solve problems. The end goal of any program (LSS, Lean, Six Sigma, CIP, whatever you call it) is to improve business results and make people’s lives better. Tools are just a means to that end. Amen, Jason. Thanks for the comment and good to hear from you… hope you’re doing awesome! I agree with you that to often people get caught up with focussing on using tools before they actually first figure out what problem they need to solve. Though this often happens in the high mix low volume and job shop operations when they try to implement Lean I have seen it in single product long-term operations where they get caught up with SMED implementation because it is part of Lean, yet they only do a change over every three to five years, and than know about it months in advance. Lean is a culture of problem solving, using everyone in the organization to fix the critical problems, but for it to work people have to use common sense, and realize whether to use a specific tool or not. Taking the time to build a VSM in a job shop can be a huge waste of time, but you may well instead consider laying out your equipment by capability criteria so that when doing a job that involves multiple machines, those it will need are closer together, this will also help you define the work volume capabilities for various product specification ranges while giving you far greater visual control of your operation. Slowing down and using common sense to first define the problem you face and than solving them will do more than blinly implementing tools that may or may not ever benefit you will do. Thanks for sharing your thoughts, Robert. Have a great week! I like using the metaphor of a carpenter’s tool-belt. If the only tool you have in your tool-belt is a hammer, then everything looks like a nail. (We’ve all been there at one time or another.) With lean and six sigma knowledge, you now have a fine array of tools, from screwdrivers to nail-setters to diagonal side-cutters to …you get the idea. The experienced carpenter has learned to assess the situation before pulling out tools. So too, the lean practitioner must survey the situation and decide what tool, if any, is needed. Sometimes a sledgehammer fits the bill, sometimes a #1 screwdriver. The point is, the root cause of improper “tool selection” may be the inexperience of the practitioner. With more experience, proper tool selection becomes easier. I hope I haven’t lost the reader with this metaphor. Great metaphor, Marty. And the beautiful thing about continuous improvement is how you can mix and match tools as needed. Great article. I’ve worked with a number of automotive lean practitioners and not knocking them at all, but when they step out of stable production environments into jobbing shop environments I have seen most of them struggle time and again. The good ones adapt and learn what tools to use (if any) and when to use them. The bad ones try to get the client to adapt to THEIR way of lean and try to convert them from a jobbing shop to stable production. Obviously this doesnt work and unfortunately a number of these companies think lean is useless as their experience of lean has been useless. So part of being a lean practitioner is to provide them a positive experience of lean in order for them to embrace it. Thank you for the comment, Andrew! I totally agree. Our environment is very heavy HMLV and changes constantly. In many instances we do not know what signs we’ll be building 3 months from now. A VSM for us if used or applied will most likely be some yellow sticky notes to denote the flow, while really being focused on driving reflection on what is happening in the Gemba. One of our key approaches today is using 5-why’s in the Gemba and asking what went well or didn’t go well and how can we make it better. The beauty of real lean is to drive reflection and change the mind set of a culture. There is a big tool box and being able to pull out the appropriate tool for use at the right time is critical. Good article and feedback by the others. Agreed. Using the right tools, or using the tools right, only comes with wisdom and experience. And wisdom is not found in theory but in practical reality – at the Gemba. By learning to see you will discover the problem and then you can deploy the appropriate tools from your arsenal to thwart it. Excellent thoughts, Nick. Thank you for sharing. And, yes, wisdom is most definitely found by going to gemba! This happens everywhere. I have seen several Six sigma practitioners using certain statistical tools like ANOVA, Regression analysis etc. without applying their mind. They have no familiarity with the Gemba. There is no requirement of applying these tools, yet they apply. I think, they miss out on the big picture. Yes, Asokan. The danger when learning new “tools” is to become enamored with them as we desperately hope to apply what we are learning… sometimes the only way to properly apply a new tool is to wait for the right opportunity! Thank you for your comment. Excellent article and a very important question to ponder. There have been debates on DMACI/A3/PDCA etc… forgetting the question “What Problem You are trying to Solve?”. Too often the focus is on the tool than understanding the problem – all that the business is looking at sustained improvement – that’s possible only when you have understood the problem well and fixed it. Does it matter what tools you used to achieve it? Nope, it doesn’t matter to me, Sowmithri. The problem, sadly, is that many practitioners (both lean & six sigma) become so entrenched with THEIR methodology that they aren’t interested in exploring something new or different. Due to each situation, product, and environment being different, every tool in a Quality Managers tool box must be customized to fit the needs of the task at hand. The only way to truelly be effective is to go to Gemba. Without doing this, the task may be accomplished, but not without many delays and corrections. Also, without going to Gemba and conversing with the true owners of any process, any operations effectivness will not be as successful. We must allow the employees to aid in the planning and implementation to be effective. Afterall, they are the true heart beat of any process and are key to the implementation and continuation of any project. TPS has warned us of relying to much on tools, Deming warned us about the risk of emphasis on tangible figures only in business. Tools may not be what you need, figures may not be available. Your morals and ethics are always available. We as managers must gain them, trust in them, and use them. I really do like to plan slow and implement rapidly. I love to get co workers ideas out in the open. On then will I be an effective manager. Sorry for the typo’s, I’m always on the move but wanted to comment anyway. Have a great day everyone. Thanks for the insightful thoughts, Allen. Your company is lucky to have a manager who gets it like you do! Please watch for the next article that will be coming on Monday (on how A3s are misused from time to time) as I’d really love to hear your thoughts. I couldn’t agree agree with you more about not letting the tool handcuff the practitioner. Early on in my facilitation of events I would get tripped up by the system I was using. I found much more success in allowing a flow, still a system, but simply looking at how the process can be made better, this led to much better results. I particularly like the part about not being handcuffed by LSS tools! Thank you for sharing the informations about six sigma. 2) Process under statistical control is a process where the closest specification limit to the Mean is 6Sigma distance away from the Mean. But wouldnt this somehow be Cp=(USL-LSL)/12Sigma? I think you may have confused process capability and processes under statistical control. A process is in control when the sample data fits within the control limits (UCL and LCL) which are derived from the data itself. Process capability is the ratio of how well the sample data fits within the specification limits (USL and LSL) which are normally set by the customer.